Thanks to a new app from the Maryland Department of Transportation's State Highway Administration, drivers can track crews in real time as they clear the roads. WASHINGTON — During a winter storm, the best place for drivers (besides parked in the garage) is on the freshly cleared stretch of road behind a snowplow. Now, thanks to a new app from the Maryland Department of Transportation’s State Highway Administration, drivers can track crews in real time as they clear the roads. The STORM app — short for Statewide Transportation Operations Response Map — also allows drivers to track crews pre-treating roads with brine ahead of any snowfall. 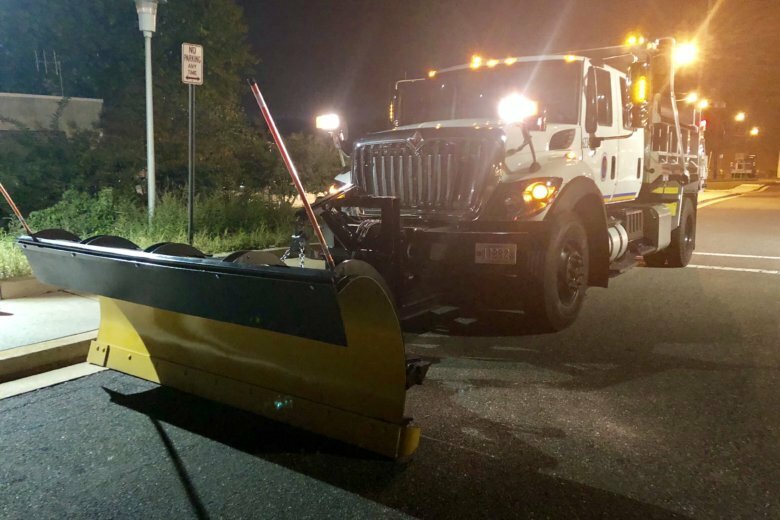 “Not only is it just for the actual winter operations when it’s snowing out and the crews are working, but also in the days before, when we pre-treat with the salt brine on the highways,” said SHA spokesman Charlie Gischlar. The app is available online as well as on your smartphone. Gischlar said the aim of the app is to put helpful information directly in citizens’ hands so they make smarter driving choices. In addition to real-time tracking, the app also provides a 30-minute history of where crews have already been. Still, even with the new app, Gischlar encouraged to drivers to remain patient when heading out in snowy conditions. “If it’s snowing at a pretty good clip and it’s cold outside, it takes our drivers about 45 minutes to an hour to complete their routes. … So if it’s really cold like that and coming down at a good clip, once they go through [their routes], it could then show up on the roads again until we make another pass,” he said.